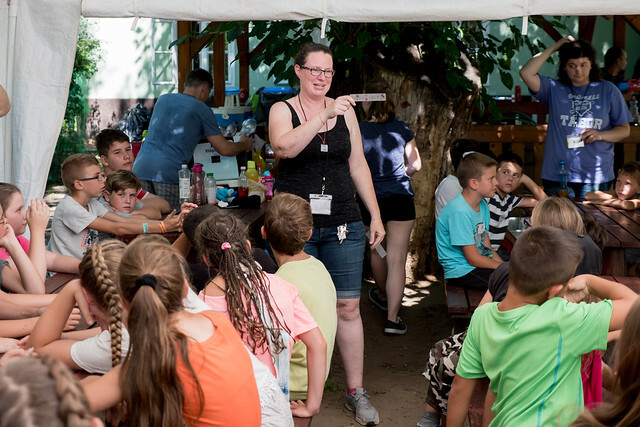 Thank you for your prayers for our last day of VBS in Jászfényszaru. We had over twenty parents attend and God opened doors to share personal testimony and the Gospel. The parents I personally spoke to talked about how God has been revealing Himself to them through this ministry. One father shared how he saw so much hypocrisy in his past experiences with religion, but he told his daughter Réka who attends each year that this is the place she needs to be. He sees that we live out what we teach from God’s word. 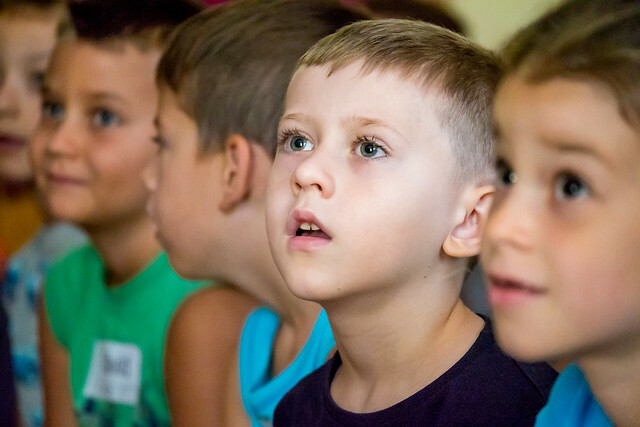 Another father shared how he began weeping when he attended his first VBS with his kids a year ago. Both he and his wife experienced the power of God’s love and the message of His grace. Afterwards he began reading the Bible and God was revealing Himself. His wife Timi was recently baptized, and it looks like he will be next. Praise God for a great week teaching kids about how God values them and calls them back into a personal relationship through Jesus Christ. 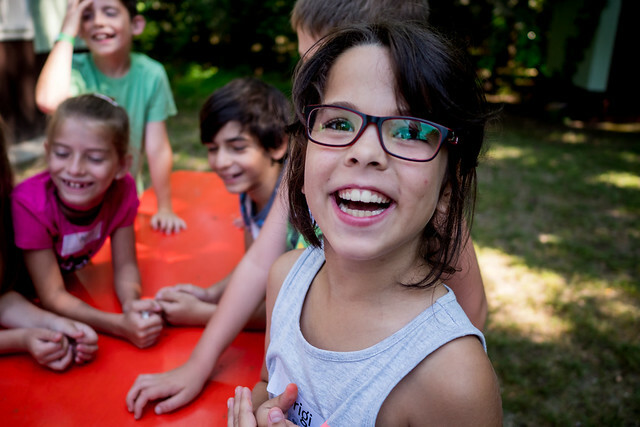 Each day, each of us helped transport kids to and from camp. As I returned home today with my daughter Ellie and three other kids from camp, they sang the entire thirty minute ride home. The lyrics in the songs were full of Gospel truths and they went from one song to the next since they had memorized them from all the previous camps they’ve attended. We believe many seeds of God’s truth have been planted that will bear fruit as God calls a new generation of Hungarians to Himself! The team of volunteers from church did an excellent job through the various challenges we experienced throughout the week. One day, we had a power outage which meant we also had no running water, no projector, no AC, no fans, no lights, no kitchen appliances the entire day! As the kids saw our example of maintaining an attitude of joy, they also continued to have joy. The enemy could not steal the gift of peace, nor stop the power of God’s work through this distraction. Just as we were finishing the day in the main meeting room, the power came back on and was available the rest of the week. 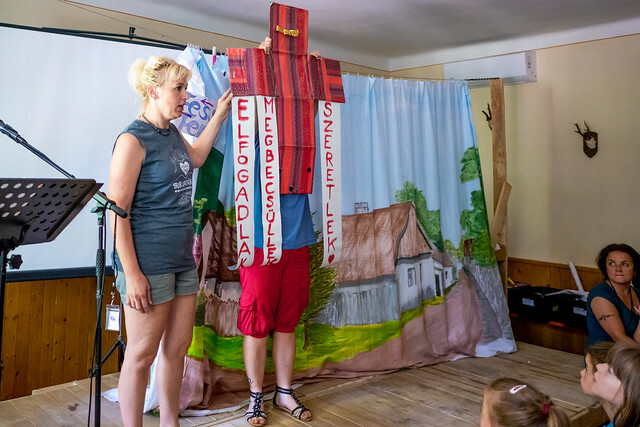 Take a look at the films below to get a sense of the gift God has given to us and to these kids through this Vacation Bible School! Tomorrow, we’re off on a long road trip to take three of our kids to a camp in Czech Republic. Our littlest one, Ziva will remain home (being watched over by some close friends for a week) while Sharon and I fly to Paris to celebrate our 20th wedding anniversary! We would appreciate your prayers, for all of our traveling and for God to continue to do the work of transformation in our lives and in our kids’ lives by His grace. Thank you all for your faithfulness in partnering with us and the encouragement you give through your prayers and support!